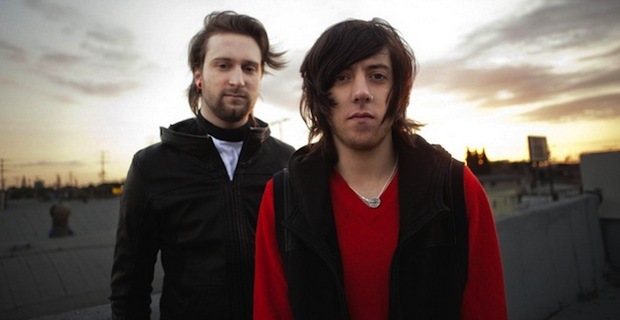 Breathe Carolina announced this afternoon that founding member Kyle Even has decided to part ways with the group. According to a video update, Even recently celebrated the birth of his first child and is leaving BC to focus on his family. Never ones to leave fans on a bad note, Breathe Carolina also took this opportunity to announce their new album, Savages, has been completed. The record is due in 2014 and the band is hitting their rehearsal space today to begin preparing for their upcoming fall tour dates. You can view the announcement, which includes the introduction of a new full-time member who will be stepping in for Even, below. It’s worth noting that Breathe Carolina are one of more than a dozen artists who will be appearing on the Under The Gun Review stage at this month’s South By So What festival in Texas. Click here for ticket information. Posted in News Tags: breathe carolina, Kyle Even, leaving, new album, quit, savages, south by so what? !